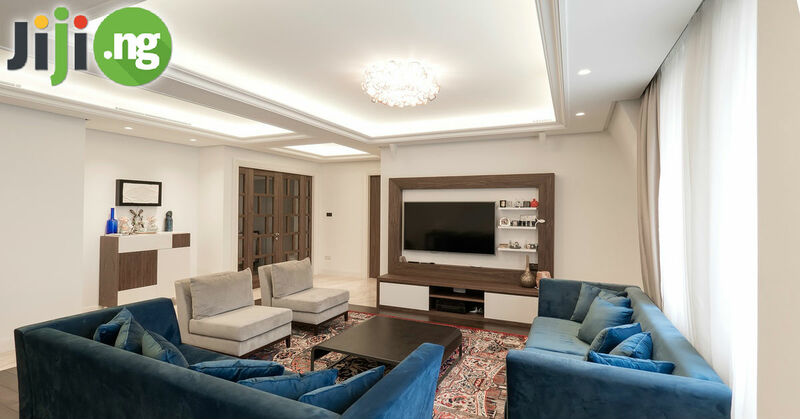 The living room is often the most popular space in the house where the whole family can spend quality time together and do something they all enjoy. That is why your living room interior design needs to be not only pretty, but also practical. 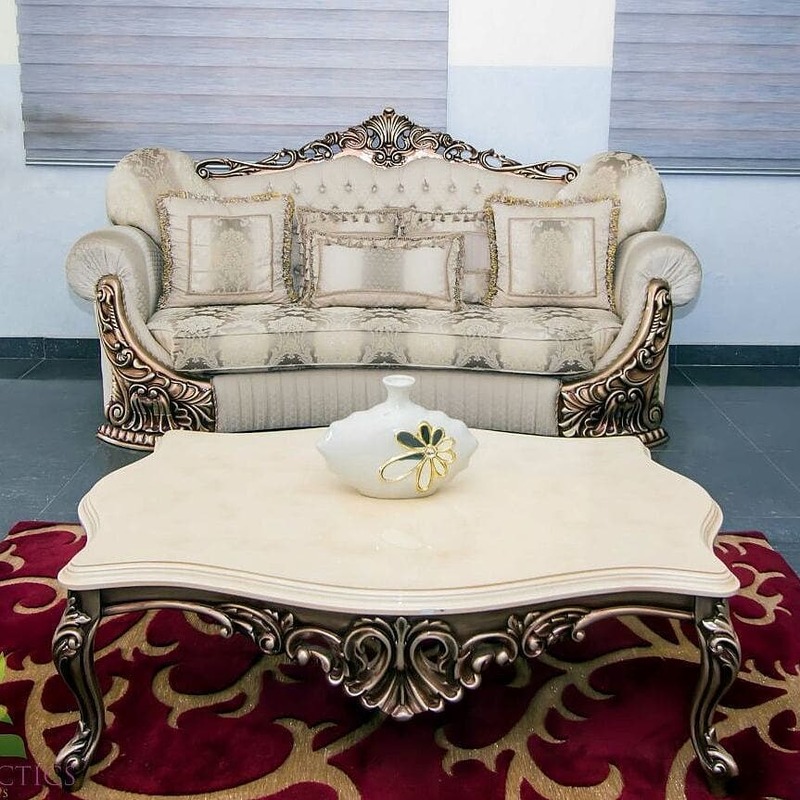 Check out the latest living room furniture designs in Nigeria! 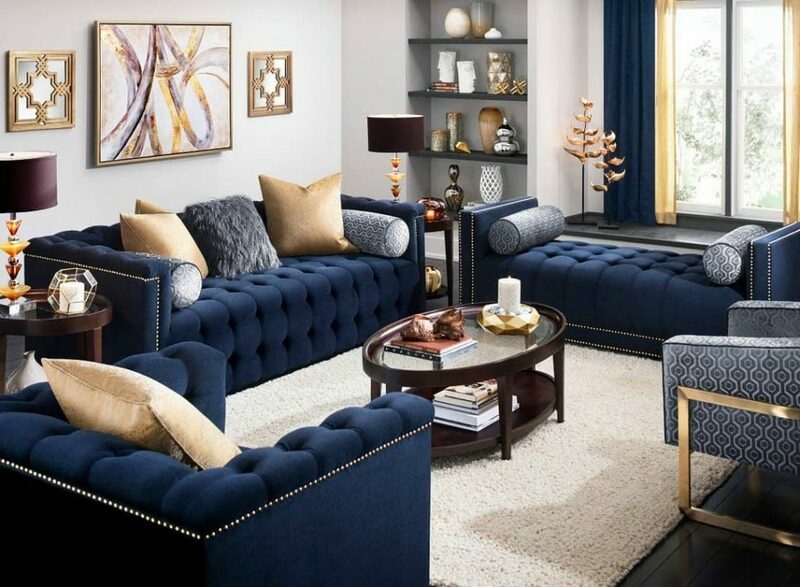 One of the home decor ideas for living room of 2019 is combining dark blue and gold colours in one stunning design. 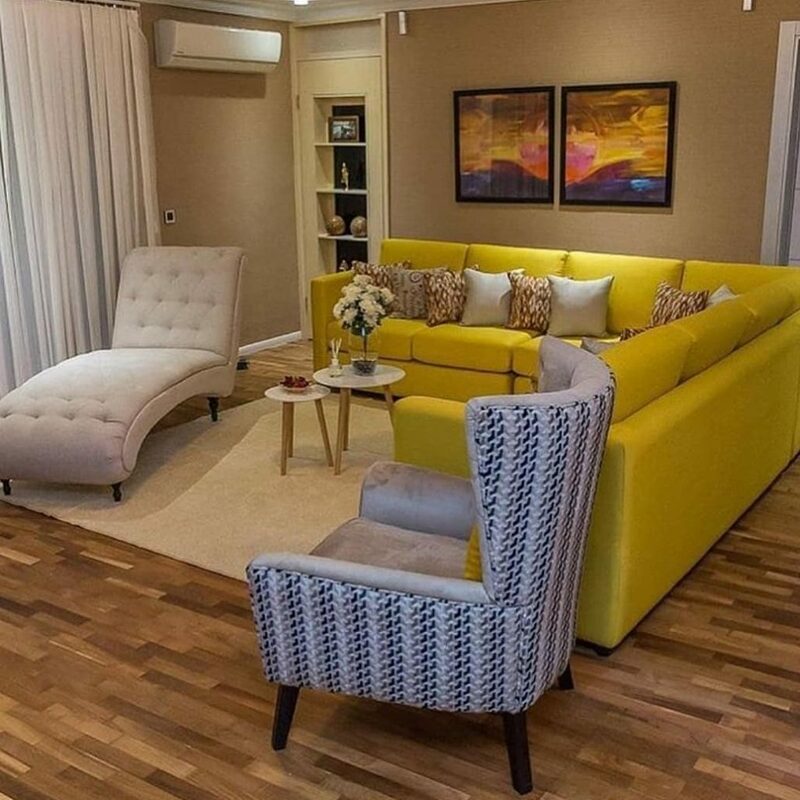 Whether it’s a blue sofa with gold cushions or any other combinations of the two colours you can think of, it’s going to give your living room a new gorgeous look. 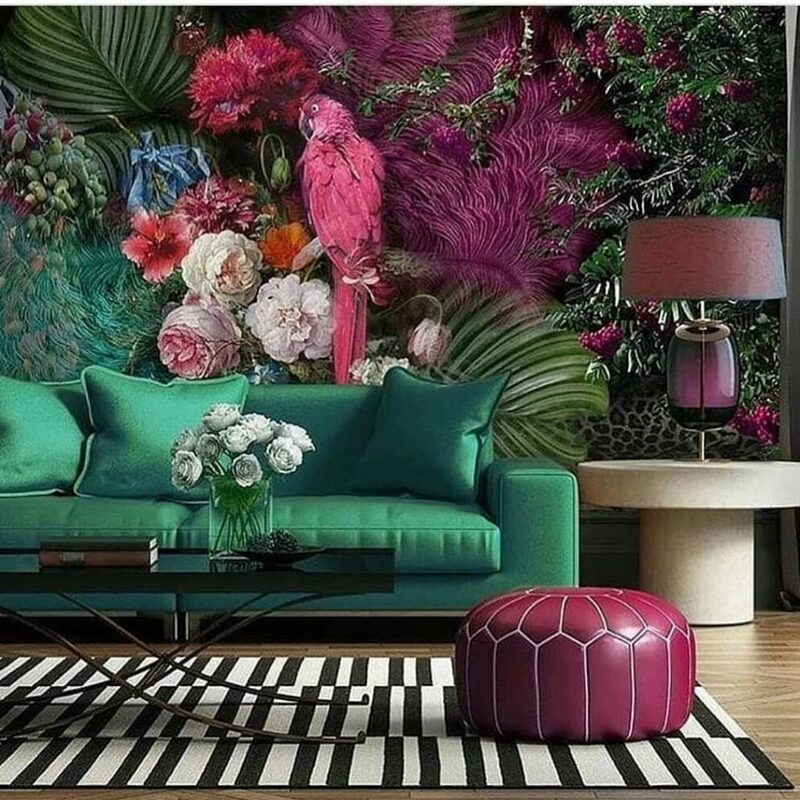 If you are not afraid of bold colours and colour pairings in your interior, you are definitely going to love the numerous interior design ideas for living room. 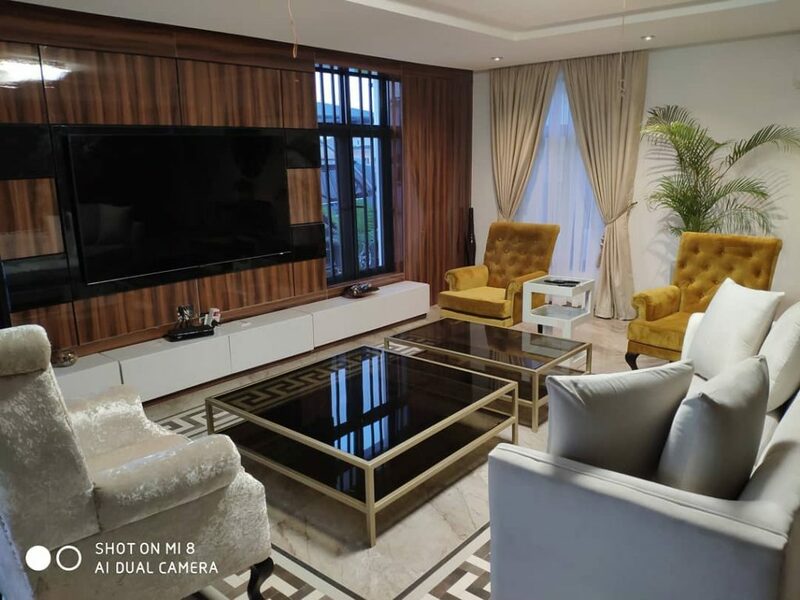 It’s all about striking palettes and eye-catching accents – then your living room will become your favourite place in the house. 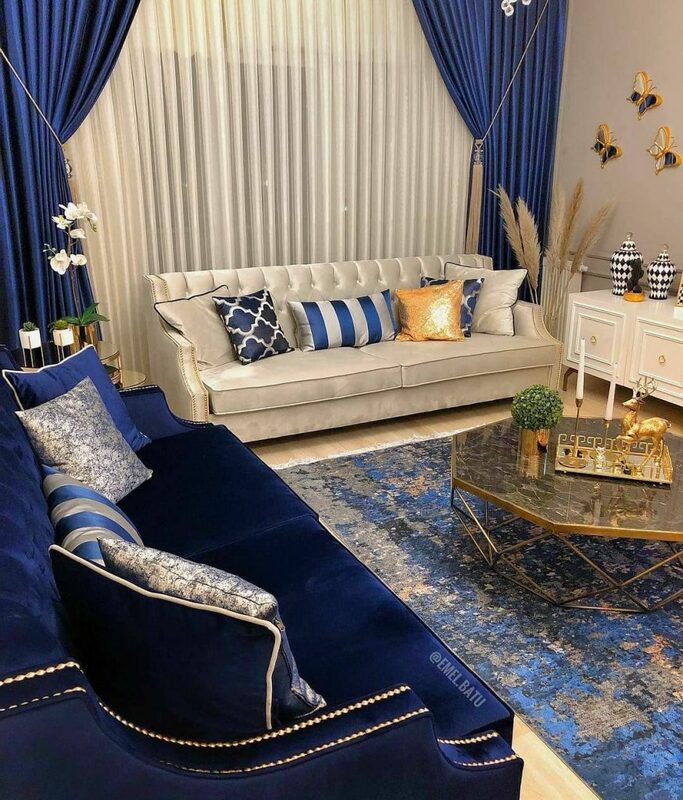 Velvet is considered to be one of the most luscious and beautiful fabrics, which is why many interior design ideas for living room include some use of velvet. 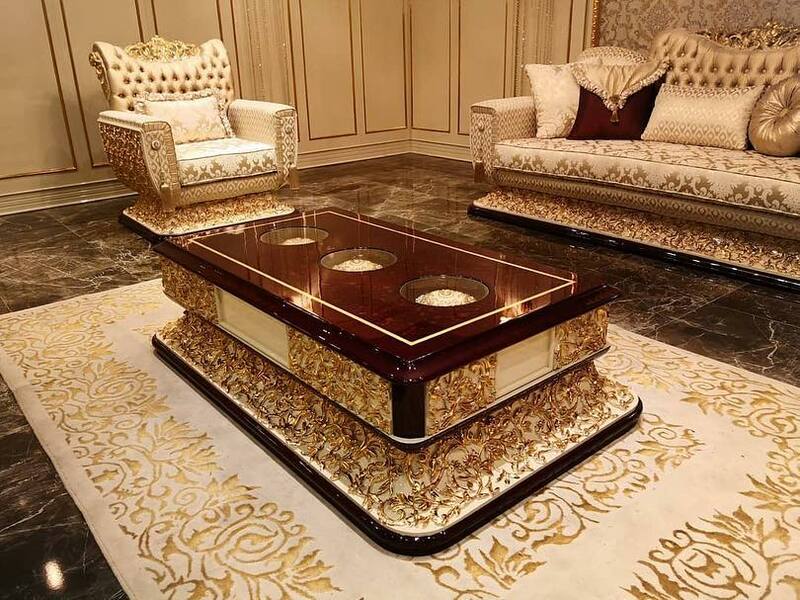 Usually it’s the velvet furniture, which is both nice to look at and to spend time on. In case you have a more traditional taste in interior design, then bold, modern living room ideas may not be exactly your cup of tea. 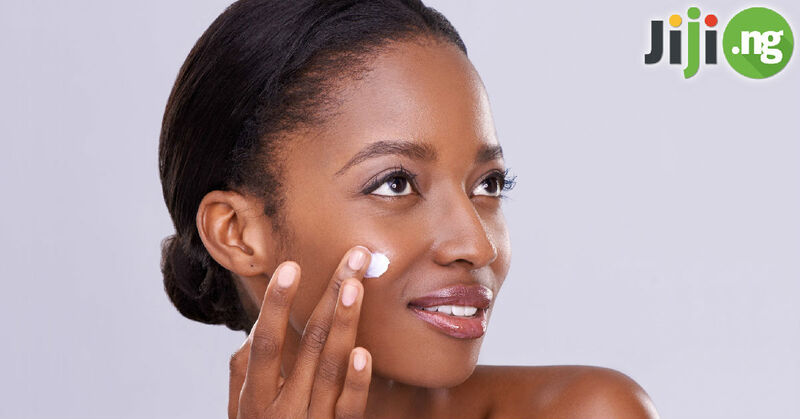 Luckily, there are plenty of other options – for example, this calming interior with different shades of white. If you are planning a living room interior for a large space, you can successfully play with furniture shapes. 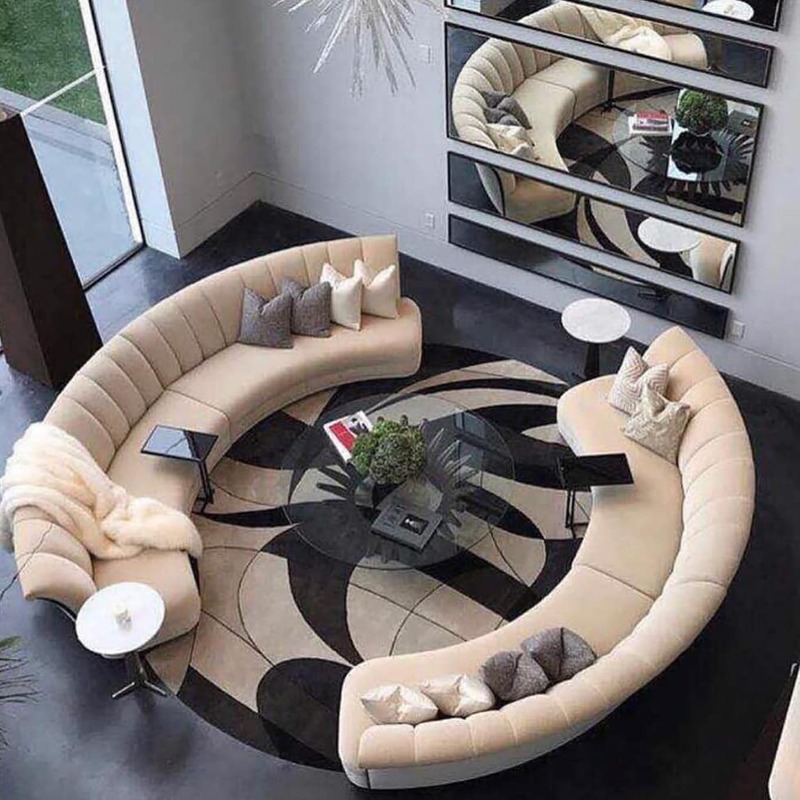 For example, round sofas can be even more spacious than regular ones, and on top of that they look extremely hip. Even if you are operating in a limited space, you’ll be happy to know that there are plenty of small living room decorating ideas even for the tiniest places. 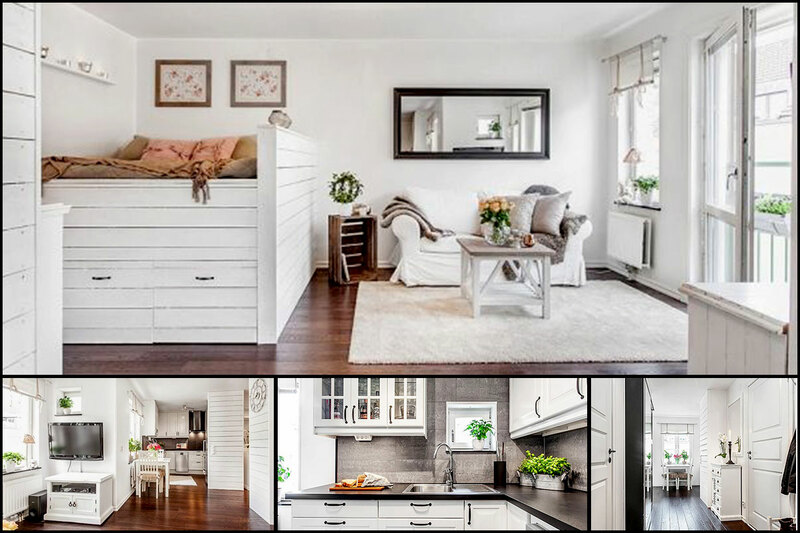 Check out how neatly the furniture is arranged in small living room designs like this one! If you often have large groups of people gathering around in your living room, you will need some accordingly large furniture. 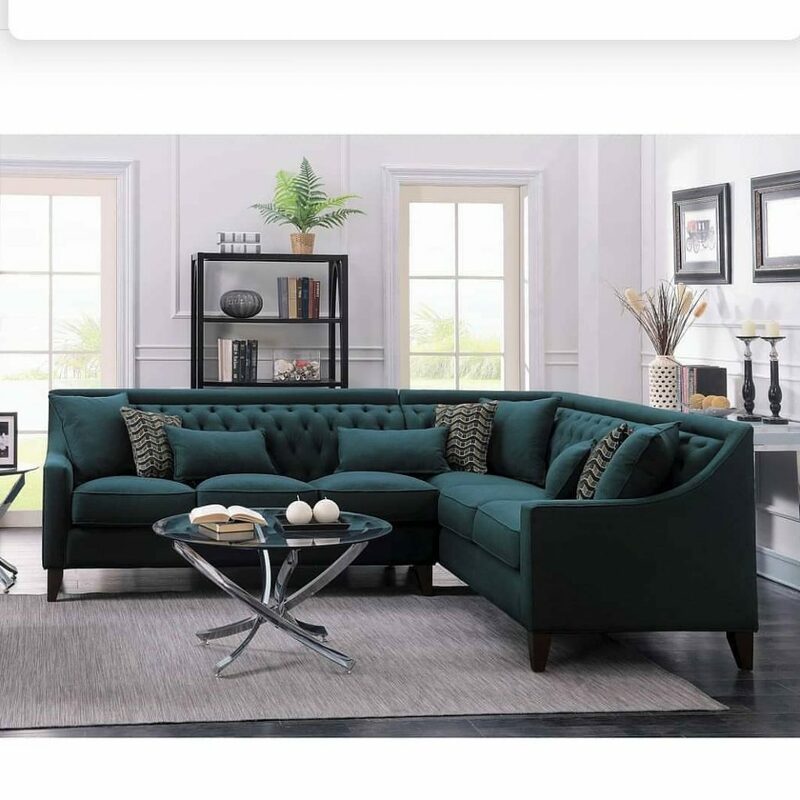 A corner sofa will not only seamlessly fit into your living room design, but will also comfortably accommodate all of your family members and friends. 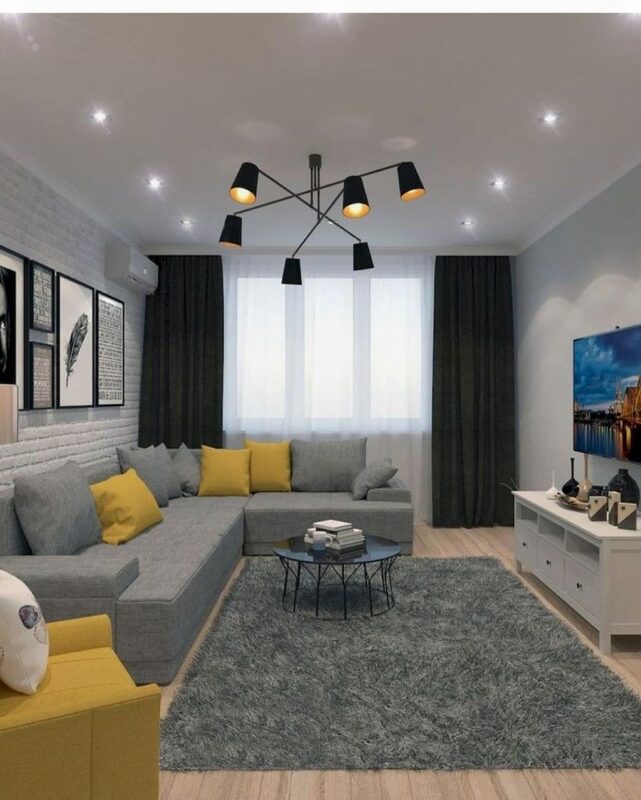 Living room decor ideas with metallic accents are extremely versatile: depending on the look of the metal, it can look anything from high-tech to vintage, like in this charming interior. 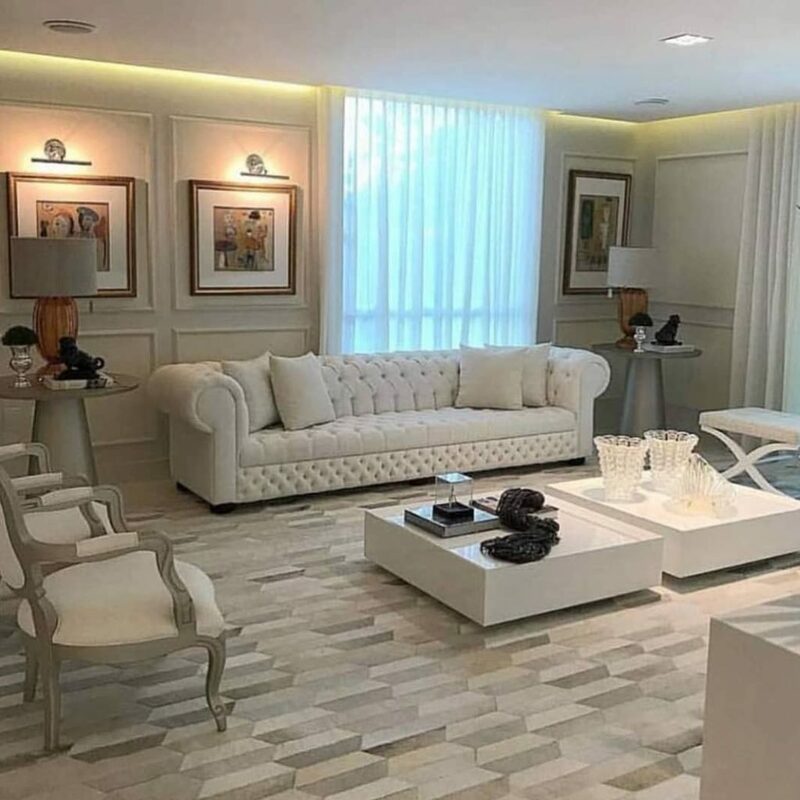 In case you have an expensive taste and want your living room to show it, this luxury living room design should be right up your street. Plenty of marble, gold, and expensive fabrics – this interior has everything! This blue and silver interior with a couple of gold accents is perfect for a person who is calm and collected most of the time but is capable of having fun when the chance arises. 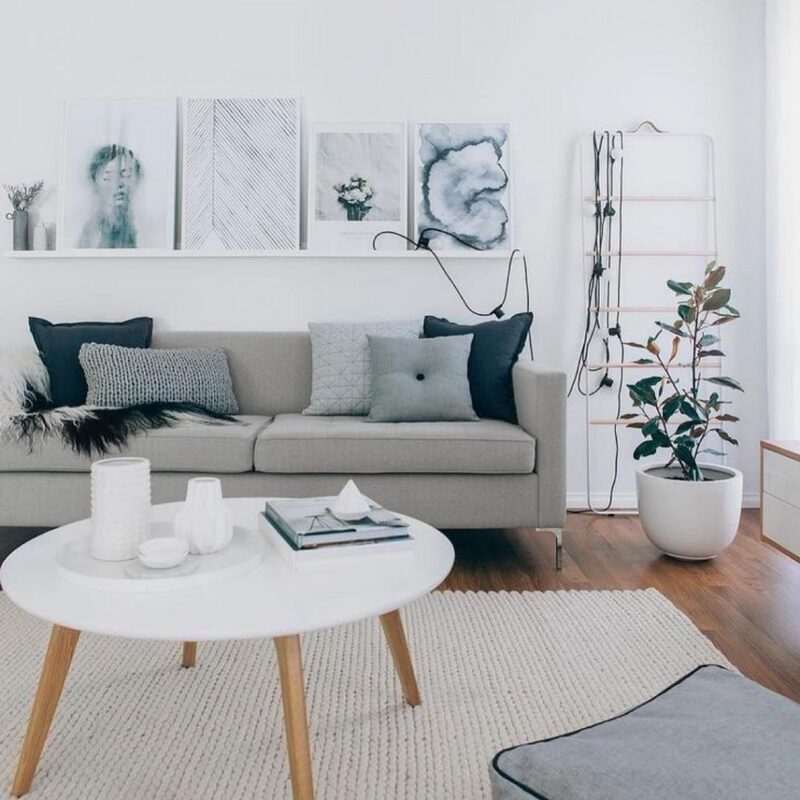 Light grey is often featured in living room ideas for small spaces as a colour that visually makes the room larger, but you can add several colourful details to avoid making your interior too dull. Despite their limited colour palette, monochrome interior designs are far from being boring. In fact, this monochrome living room look is very likely to become a new classic of interior styling. 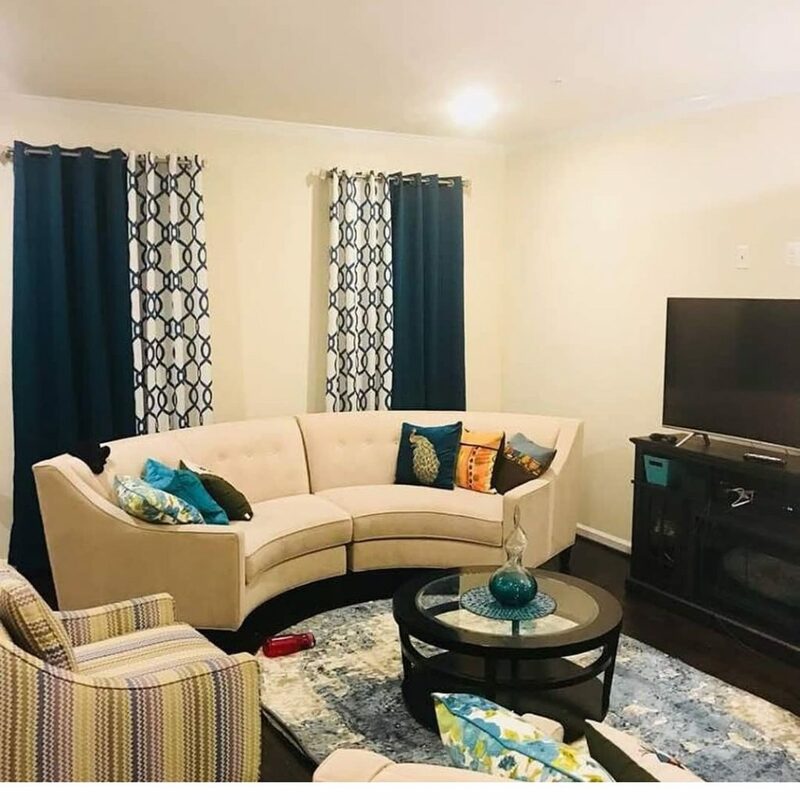 Many homeowners prefer to decorate their living rooms with complete sets of furniture, but you can achieve an equally stylish look if you combine different pieces in your living room interior. 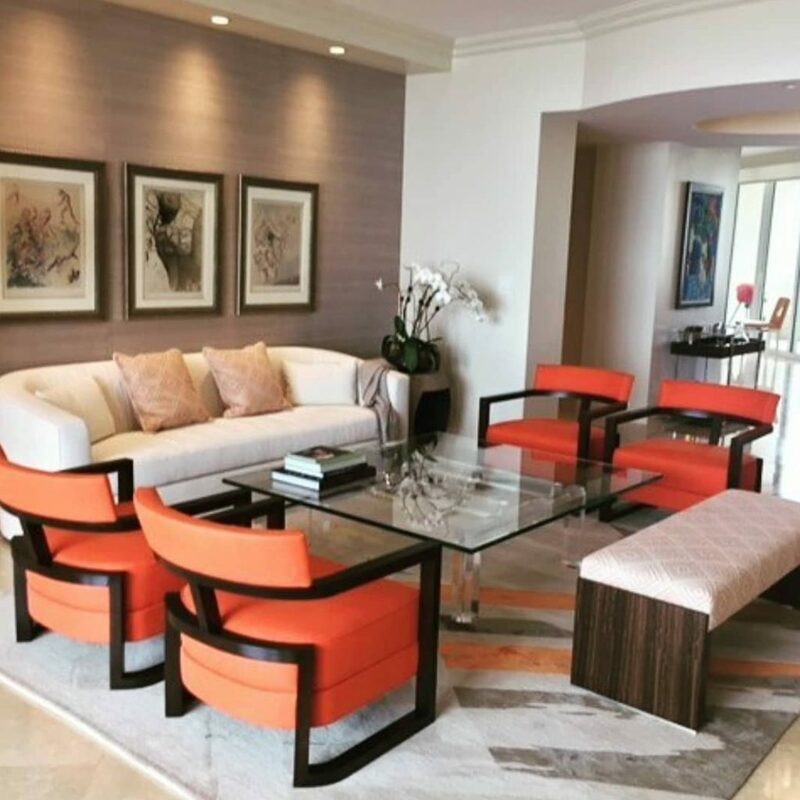 White isn’t the most cheerful colour for interior decoration, which is why adding a couple of bright, coral-toned armchairs gives the whole space a dramatically different look. 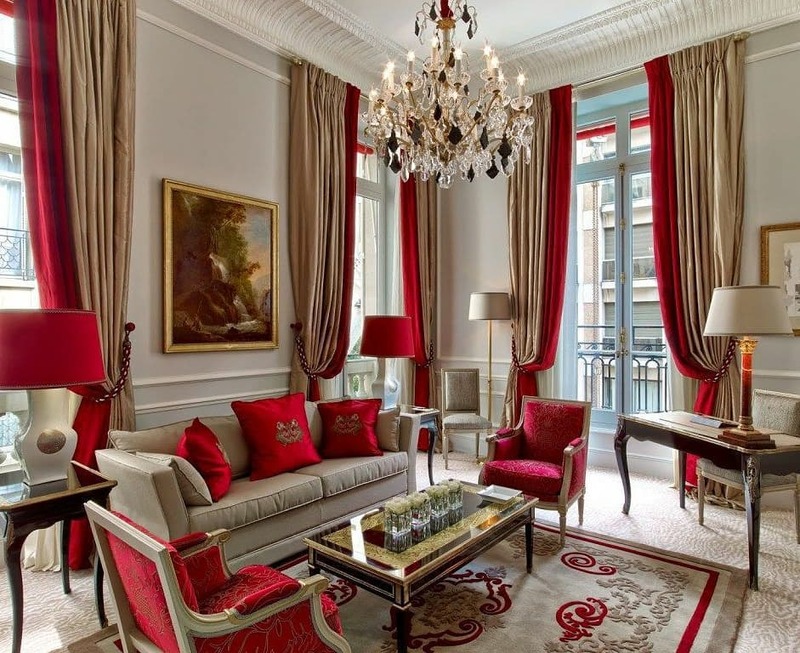 On its own, red could be too aggressive for most living rooms. However, when it’s paired with an understated shade like beige, it makes the living room look like the cover of an interior magazine.